AirbnbA tree house near Atlanta, GA. 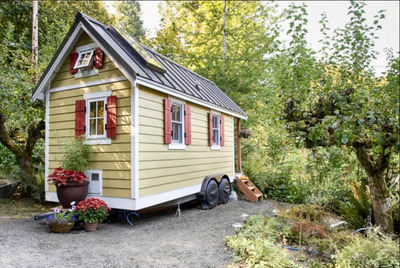 Tiny homes are a big trend, but not everyone can bring themselves to throw out most of their belongings to live this minimalist lifestyle. Luckily, there are tiny rentals the world over that can give you a taste. 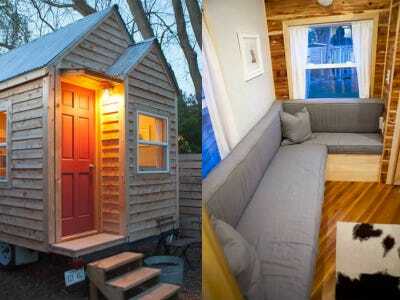 Here are the coolest tiny homes money can rent. 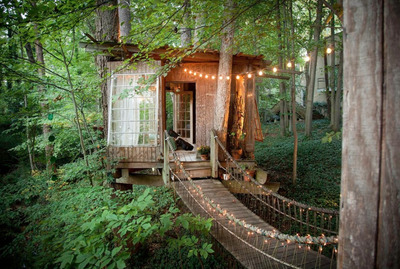 This dreamy tree house consists of three separate rooms, which are connected by rope bridges. 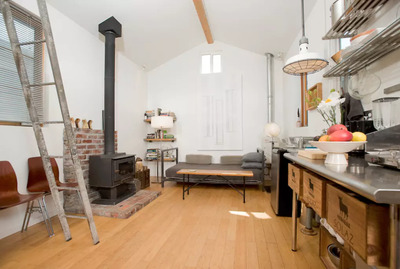 This stylish little place has an edgy, industrial vibe, and was featured in various design books and magazines, as well as the New York Times. 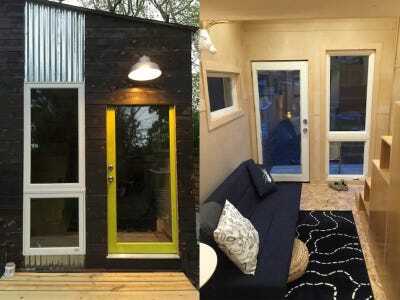 This trendy, 350-square-foot abode has an urban cowboy vibe, and was featured on 'Tiny House Nation,' CNN, Food & Wine Magazine, and the NY Post. 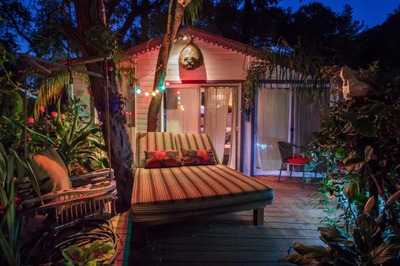 This Pirates of the Caribbean-themed getaway features tipis, hammocks, waterfalls, and ponds, making it one tropical escape. 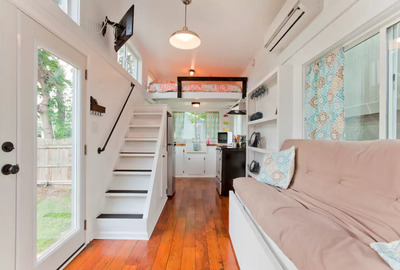 This super cute, colourful little place fits four, and features a full kitchen and full bathroom, despite only being 200-square-feet. Nestled on a hill overlooking the water, this cosy cottage is as if someone shrunk a beautiful waterfront home onto 20 square feet. 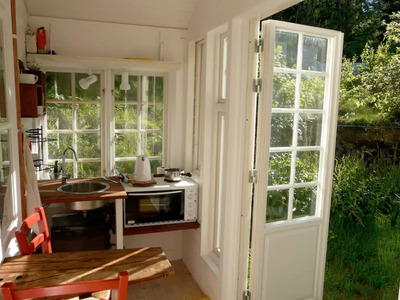 This cosy little cabin is the ultimate writer's escape, located on a small Swedish island with no shops. It features its own little kitchen, wood burning oven, and shared lakeside sauna, tennis court, and beach. 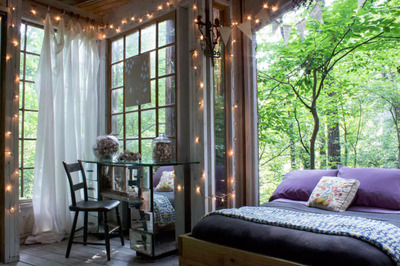 This stylin' little place can fit three, thanks to a lofted queen-size bed and pull out couch. 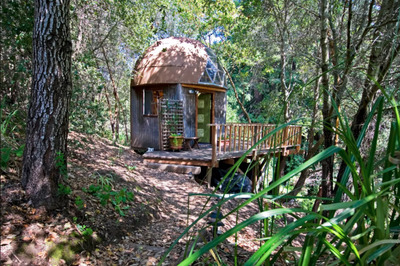 Known as the 'Mushroom Dome Cabin,' this geodesic little place has gorgeous views of the surrounding Redwood trees, as well as the stars at night thanks to a skylight. 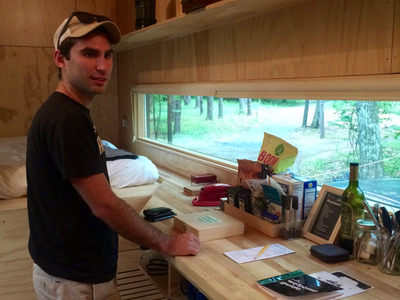 Getaway, a Boston-based startup that designs and builds 150-square-foot, eco-friendly homes, wants to give everyone a chance to live little, and has six 'tiny houses in the woods' outside of Boston and New York City. 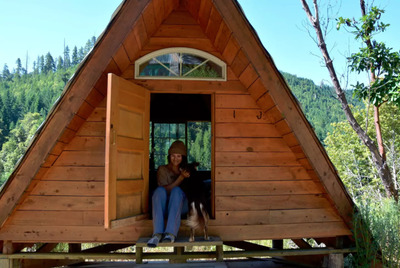 Live small AND off the grid at this tiny A-frame cabin deep in the woods. 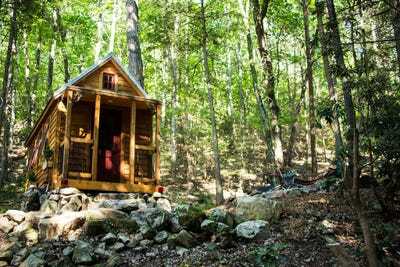 The room is part of a remote, off-grid 'village' that features other cabins, a shared kitchen, bathroom, and permaculture gardens. This adorable tree house is perched on four maples, 30 feet above a blanket of ferns. It fits three guests comfortably, and comes with heat, electricity, and a small fridge. 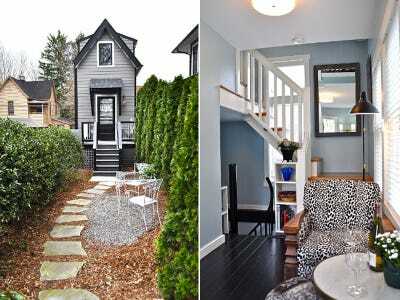 This tiny townhouse is as elegant on the inside as it is on the outside. With three levels, the home fits an eat-in kitchen, a full bathroom, a living room, a top floor bedroom, and even a washer/dryer unit. 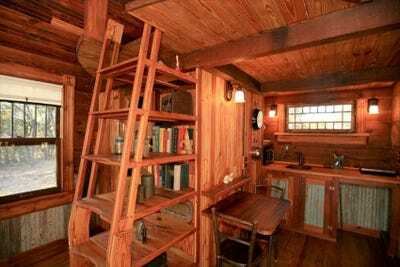 Despite being only 200 square feet, this cutesy cabin in the woods has everything two people could possible need -- including a sauna. 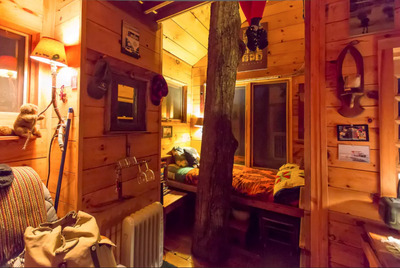 Featured in USA Today, this woody, tiny Texas house comes with a king-size bed and a private hot tub. 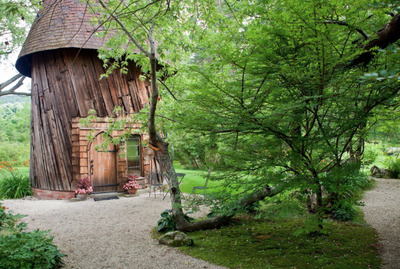 This whimsical, two-story silo features an equally whimsical interior, complete with a four poster bed, as well as a lily pond. 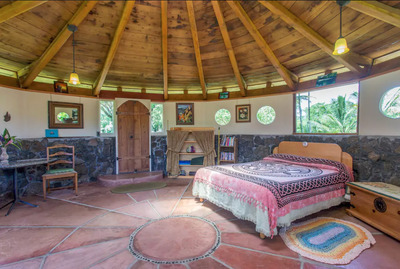 This Hawaiian hideaway sits on three lush acres of land, is entirely solar powered, and features an outdoor bathroom. This stylish little home on a goat farm packs a punch, with a queen-size bed, pull out couch, small kitchen and bathroom. 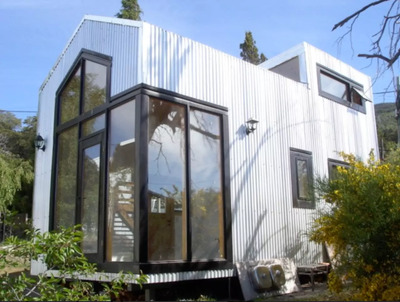 This super modern tiny home is industrial chic, and features a large deck overlooking the beautiful Nahuel Huapi lake. 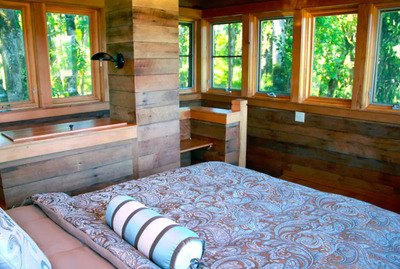 This awesome little cabin is in the heart of wine country, overlooking a 40-acre vineyard. The 900-square-foot space has a full bedroom and bathroom, as well as a kitchenette spread out over two stories.